Former Councilman Allen Payton left a few easy assumptions out of his article. Primarily the relationship of the City Clerk to the public, which was never discussed by the Council while they only looked at eliminating one more position. That roll is of a neutral, trusted fiduciary. The Clerk not only registers people to vote, regardless of party, accepts and files all candidate papers, submits ballot issues to the county elections board, send all public notices, prepare agendas and vital to our system of freedom, provide the public with records and document when requested under the Freedom of Information Act. Even when public requests for information appears to be nothing more than political harassment, the Clerk is still sworn to preform her duties without the influence of Councilmembers, a strong Mayor or a City Manager. The elected Clerk cannot be fired by a City Manager that has already eliminated every other department head in the City. What this Council has done in an attempt to eliminate the position has been to reduce the salary of an elected position to a paltry amount and instruct that the Clerk herself is to work only one day a week. What better way to reduce or even eliminate the Clerks relationship with the public. As to the Councils refusal to rename “L” Street, that has been proposed for many years, and even though I might disagree on the renaming of ‘A’ and 2nd Streets, you missed the one that would have cost “nothing”. Those of us that have been heavily involved in the History of this community and the republishing of the Diary of Rev. Williams Wiggin Smith, ask that Roger’s Point be restored back to the original name of “Smith’s Point” as it had been the long standing homestead of Smith until his death. As there is currently no signage, other than “Keep Out”, and the property and area are not currently being developed, no signage would have been required at this time and no real cost associated with changing the name. From our records the property was not identified as Roger’s Point until the Rogers family (local insurance agent) took over in mid century. Although we felt this was a non issue and we had council support, much to our surprise the Mayor felt he needed to ascertain the feeling of the Roger’s family. All the members of the Roger’s family that ever lived there, including their daughter Virginia Rogers Calessesi, have passed away. This simple issue has exposed this Councils inability to advocate for issues brought from the public. On another issue one councilmember expressed to me that the council believed they needed to wait for the election to allow new council members to have input on an important issue. This was stated to me last March. I don’t know about the rest of the public but I don’t vote and elect Councilmembers so they can wait 2 years to give the next group input. I elect people to make decisions now, while they are in office. Those that fail to advocate for issues, weather I agree with them or not, and those that fail to make the decisions they were elected to make, will not have my vote in the future. Antioch Historical Society’s 8th Annual Celebration of Art Starts Today – Free Concert Tonight! The Arts & Cultural Foundation, once again in partnership with the Antioch Historical Society, will host the 8th Annual Celebration of Art 2012 Exhibit at the Antioch Historical Society Museum.This is a non-juried exhibit with no required theme, with over 50 local artists participating in the event. The event begins on Saturday, June 30th, with an artist reception from 2-4 PM. The exhibit continues through July 25th. The event, artist reception and entry to the museum are free. SPECIAL EVENT FOLLOWS THE ARTIST RECEPTION ON JUNE 30TH! Free Summer Concert, featuring Vocal Ease & the Boogie Men, 6-8 PM (in the gazebo). For more information on the Celebration of Art, click here. The Antioch Historical Society Museum is open Wednesdays and Saturdays, from 1-4 PM, and admission is free. For more information please email Diane@Art4Antioch.org or call (925) 325-9897. The voters of Antioch spoke on June 5 and by nearly 71% to 29% rejected Measure L to change the City Clerk and City Treasurer from elected to appointed positions, and by 84% to 16% said no way to rotating the Mayor’s position among the five council members, instead of directly electing the position. The City Council put the first one on the ballot at a cost of nearly $100,000 in the hopes of saving about $35,000 a year in future years. The Mayor’s measure added additional costs to the city election for a total of $105,000. The problem is nobody campaigned for them, other than a ballot statement. There were no signs, no mailers, no door-to-door flyers and no phone banks calling voters to urge them to pass either measure. The next time council members want to put something on the ballot at taxpayer expense, they need to back that up with the commitment to campaign for its passage. I was chastised last month for supporting the longtime effort to rename L Street to Marina Way (or Parkway, as city staff proposed and the Planning Commission approved – but the Council rejected) because it would cost, according to staff’s estimate, $40,000. But by doing so now there would be little to no cost for the city from the state to change the freeway exit signs. Instead if the council changes the street name in the future, it will cost the city about $100,000 for CalTrans to redo the freeway signs. The 16-year-old street name change idea, from the City’s 1996 Economic Development Plan, also included changing the name of A Street to Rivertown Drive. That idea has been expanded to now include 2nd Street, since the two streets are connected. It just makes sense, as that road leads you to and through and is the main street of Rivertown. It would have been a onetime expense for permanent marketing of Antioch’s historic downtown Rivertown and waterfront – which was the intent of that part of the economic plan. It’s also part of the intent of bringing back the July 4th fireworks, this year. Come out and enjoy the free show and take a look around Antioch’s historic Rivertown. It was in 1851 at the July 4th picnic that the residents renamed the town Antioch from Smith’s Landing. By the way, the street names in downtown used to be named after people. They weren’t always letters and numbers. In fact I just saw a copy of the map of downtown with the original street names that Oak View Memorial Park has available. So renaming things is part of our city’s history. Once again, Waldie Plaza, located in Downtown Antioch, will be hopping with good music, families and fun this summer. Due to the generosity of the Lesher Foundation our summer concert series has been expanded to every Saturday in July and August, from 6-8 PM for the 2nd year! Thank you Lesher Foundation and all of our sponsors: Arts & Cultural Foundation of Antioch, City of Antioch, East County Times, GenOn, Give Always To Others & Company, Clay, Millias & Co, LLP and the Antioch Chamber of Commerce. The Waldie Plaza lineup: July 7th, Spindrift California (Easy listening to foot stomping tunes); July 14th: Pittsburg’s PHDs (Latin/Jazz/Old School); July 21st: Sumac (Blues & R&B); July 28th: Juke Joint (Classic Soul & R&B); August 4th: Jessica Caylyn (Hometown Country Rocker & Nashville. Recording Artist); August 11th: Soul Request (R&B, Pop, Urban Jazz); August 18th: Bell Brothers (County Rock); August 25th: Tuck & Roll (50’s & 60’s Rock & Roll). 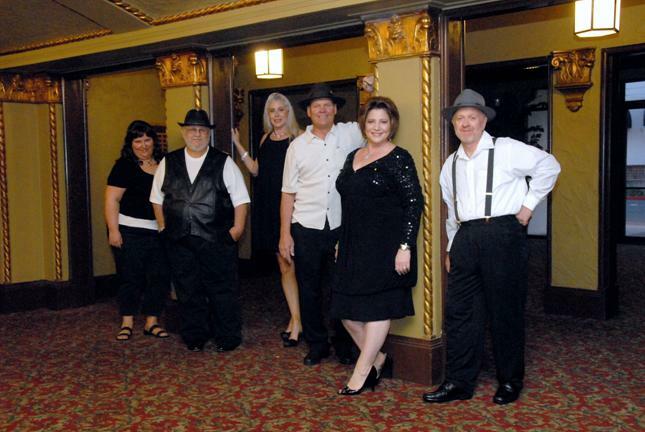 A special kick off concert will be held June 30th, featuring local favorite, Vocal Ease & the Boogie Men, at the Antioch Historical Society (outside grounds) from 6-8 PM. Seating is not provided; please bring blankets, folding chairs. For more information, visit www.Art4Antioch.org or call (925) 325-9897. Antioch’s own water park at Prewett Park is open for the Summer. Rates are as follows: Saturday, Sunday and Holidays $14, Monday through Friday $12, Daily After 4 p.m. $5, Seniors & Active Military (ID required) $5, Lap Pool Swim $4 and children 2 and under Free. Open daily from 11 a.m. to 6 p.m., now through September 2, and the Lap Pool is open from 3:30 p.m. to 6 p.m. Group Rates, Parties, Rentals and Buy Outs are available. Located at 4701 Lone Tree Way, across from Deer Valley High School, the park also offers a snack bar to satisfy the thirst and hunger of their patrons. On Saturday morning, June 30, 2012 at 4:18 a.m. Antioch police responded to the report of a gunshot victim lying in the street in the 800 block of L Street. When officers arrived they found a 20 year old male suffering from a gunshot wound to his head. He was pronounced dead at the scene. This information is preliminary as the investigation is still ongoing. Anyone with information is asked to contact Detective Bittner at 925-779-6939 or text an anonymous tip to 274637 (CRIMES) using key word ANTIOCH in the body of the text. 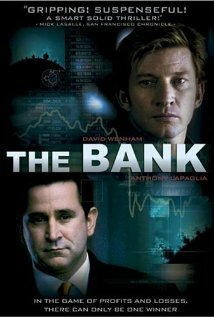 “I’m like God but with a better suit,” declares Centabank CEO, Simon O’Reilly (Anthony LaPaglia) with pride. Welcome to the world of The Bank, ripe with avarice and corruption, where O’Reilly and his ilk can thrive and honest Aussie battlers lose everything. Enter Jim Doyle (David Wenham) a maverick mathematician who has devised a formula to predict the fluctuations of the stock market. When he joins O’Reilly’s fold he must first prove his loyalty to the “greed is good” ethos. Which way will he go? What does he have to hide? A heady, exciting thriller where imagination, genius and humanity collide with unabashed greed, the Bank marks a brilliant new foray into Australian cinema. The IFS project is the brainchild of Efi Lubliner and Jo Alice Canterbury. During the many years they have attended international film festivals around the United States, they compiled a list of films which they believe deserve wider distribution and recognition. After repeatedly recommending their favorite films to friends, they were frustrated to discover that these cinematic gems were neither screened in local theaters nor released on DVD. Programming is monthly at El Campanil Theatre, The Orinda Theater and Blue Light Cinemas in Cupertino. Homeowners Bill of Rights Vote on Monday, Hold Banks Accountable! This week we made history! After months and years of organizing CCISCO, and our PICO partners helped to win approval of the Homeowners Bill of Rights by a Conference Committee of the state legislature. NOW we NEED YOUR HELP to make sure the Homeowners Bill of Rights becomes law in California. On Monday the full Senate and Assembly will vote on SB 900 and AB 278, the Homeowners Bill of Rights. Please let your state legislators know that you’re counting on them to stand with our homeowners and communities and not be bought by big banks whose unethical and illegal policies and practices caused and continue the foreclosure crisis. Your support is incredibly important at this time. If you can come with us to Sacramento on Monday please meet us at 9:30am at Antioch Church family at 55 E. 18th St. in Antioch. It is vitally important that we are at the capitol to show our support for this bill. If you cannot make it to the capitol, please email your legislators and ask them to support the Homeowners Bill of Rights today; click here to find your legislators’ contact information. If you have any questions contact Teresa Flores at 925-759-7402 or email her at teresa@ccisco.org or visit www.CCISCO.org.